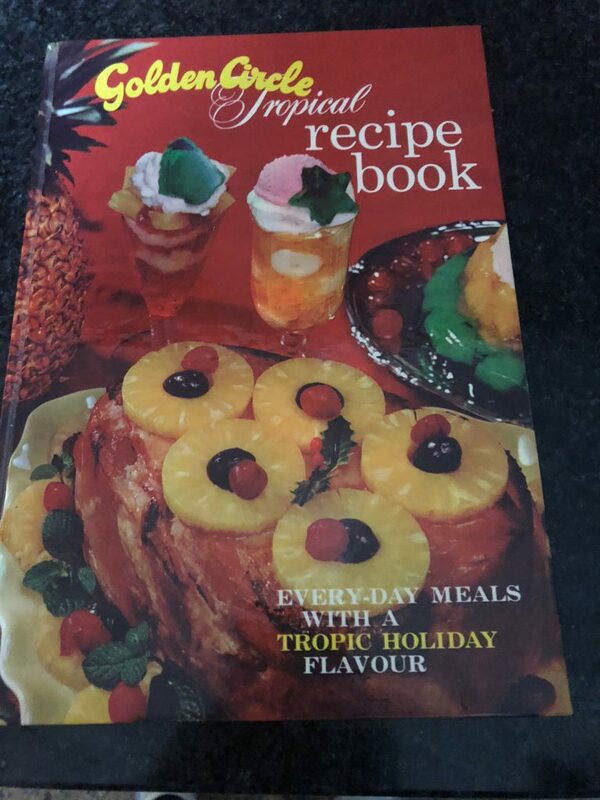 When mum was a newly married sort, back in the golden syrup laden decade of the 70’s, she was given Golden Circle’s Tropical Treats cookbook. Today she passed her copy to me and I actually read it for the first time in my 43 year old life. As the custodian of a collection of classic tiki chic, my creativity was inflamed I tells you – INFLAMED! One of the few treats I actually found potentially edible was their recipe for Frangipani pie. 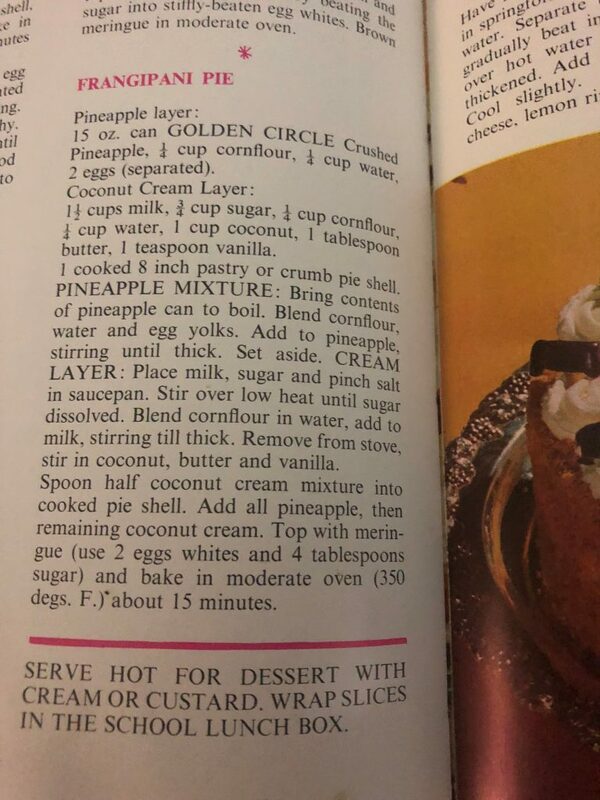 It’s actually not half bad and you do feel transported into eating it like you’re surrounded by a Tiki bar and sipping on tinned ingredient punch, wearing a fake Lei.